June 21, 2017, © Leeham Co.: Boeing hasn’t launched the 797 and it’s already looking at applying this technology to future aircraft and coming up with more technology for the decades ahead. Mike Sinnett, VP for Product Development, outlined some of the ideas, in general terms, at a press briefing today at the Paris Air Show. The Blended Wing Body is an idea that has been kicking around at Boeing since it acquired McDonnell Douglas in 1997. Figure 1. Mike Sinnett, VP of Product Development at Boeing, explains why the Blended Wing Body may now be getting close to a viable passenger airliner. Photo by Scott Hamilton. The technology has seen drone testing, but for many years, Boeing rejected the idea as a passenger airliner because it was assumed passengers would not want to be in a windowless airplane and those closest to the wings would be prone to air sickness as the airplane twists in flight. Advances in flight controls, originating with the 787 program, now stabilize flight, he said. In all likelihood, the airplane would see service first at a military transport and/or a cargo aircraft. Sinnett said increasingly autonomous systems are making their way onto airplanes. Figure 2. Autonomous features set the stage for pilotless aircraft. Photo by Scott Hamilton. Auto pilots, auto land and thrust management–and all the systems shown in Figure 2–have been around for years and decades. But the systems still require human oversight and, occasionally, intervention. Sinnett said auto pilots are safe while monitored by the pilot, but not yet safe enough without the pilot. 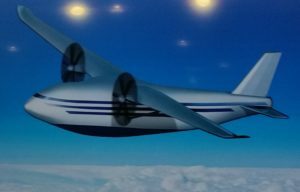 The first aircraft that may be a one-pilot, or pilot-less aircraft, will likely to be a freighter. 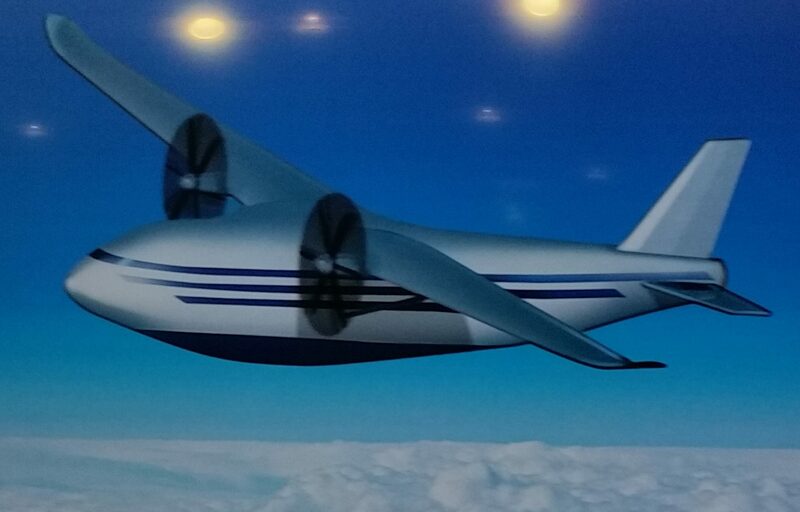 Figure 3: Boeing’s concept of a pilot-less freighter. Photo by Scott Hamilton. Sinnett said any use of such an aircraft will be in remote areas. He joked that the airplane has to be “so ugly, no pilot will want to fly it…” though one wonders if Sinnett is familiar with the Budd Conestoga, a development emerging from World War II. Figure 4. Budd Conestoga. Photo via Google. It was my understanding that when a blended wing, the outside passenger goes up 20 feet vs an inside passenger that goes up 1 foot. Its the increased up distance as you get further form the center that’s the issue and unsettling. I doubt people care about windows, no one looks out of them these days. Last flight I was on the passenger who had that seat pulled the shade down and I could not look out. The rest of them were playing with various electronic gadgets. I was the only one with a book. Given that they design pretty much all of their aircraft to be crammed like sardine cans (737, 777, 787), I’m pretty sure Boeing has since learned that the industry does not value passenger comfort in the slightest. So these concerns clearly shouldn’t be an obstacle for them moving forward. I agree with your comment 100%, no one looks through the windows these days except during take off and landing for few minutes , which does not represent more than 0.001% of the whole journey time. Personally I prefer to be on the aisle all the time in stead of sticking my self beside the window. Now a day most of the new Airbus planes are provided with cameras in which passengers can see everything around the plane day and night during take off, cruise and landing. I wonder why Boeing does not use this features in their planes. So far, the blended wing to body plane project proves to be quite advance, efficient and economical. the same plane can carry lot of passengers in one go specially for long sectors flight. Being in big plane with more than one aisle and open space will give passengers the sense of comfort which we lack it at this time with the small planes such as B737 and A320. I too think screens of some kind are a good answer. Maybe at each seatback? You can look if you want, select where you want to look and not annoy your neighbor. Me, I am a window guy. I like to be on the side of the airplane SE AK is on, lots of memoires down there. Most could care less I think. But I don’t see an answerer to the 20 ft up vs a little up. I think you would get used to it. I loved the comment about torturing people and that being in line with that! An ellipitical body section with say 6 to 8 abreast seating would be similar to an oversized B2 bomber. And Boeiing did design and build out of composite the ‘ body’ — ” bombbay ” and major wing assembly of the B2 in the mid 1980’s. What might chnage is the use of technology which avoids the oversized pizza oven needed to bake the parts. Sounds like even larger quantities of carbon fibre and pre preg required than now, and thats a cost problem. Its all smoke and mirrors to cover for the lack of a new plane- Sonic Cruiser 2.0, and we know how that went. A blended wing would be a good candidate for that first pilotless freighter. Also, if anyone is looking at a green ammonia fuelled aircraft (which would deliver air transport with zero CO2 emissions) the outside of the fuselage on a blended wing would be a good place to store it, since it would need to be in pressurised tanks rather than in the wings. The passengers could be kept nearer the centreline. A Freighter is not a better option than a Pax. They both can crash and almost all airports are surrounded by cities . Autonomy has a long way to go before it has any validity.